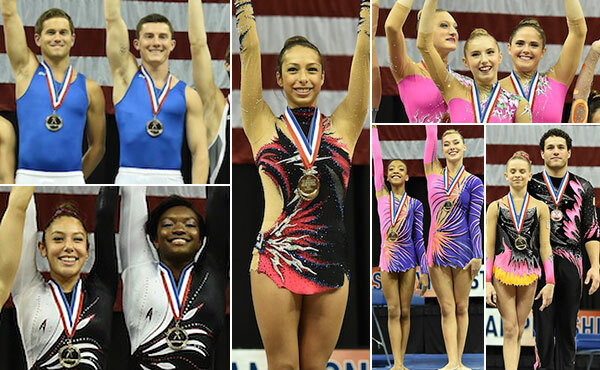 Five U.S. senior titles were determined today at the 2014 USA Gymnastics Championships at the KFC Yum! Center in Louisville, Ky., where competition continues on Saturday with the finals in junior and senior trampoline, rhythmic gymnastics and acrobatic gymnastics. 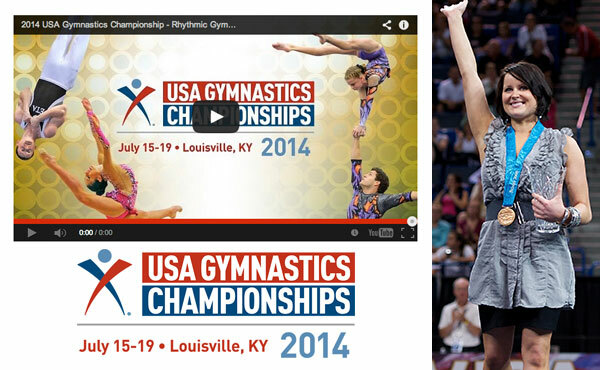 Three of the 2014 U.S. titles for balance and dynamic in acrobatic gymnastics at the 2014 USA Gymnastics Championships at the KFC Yum! 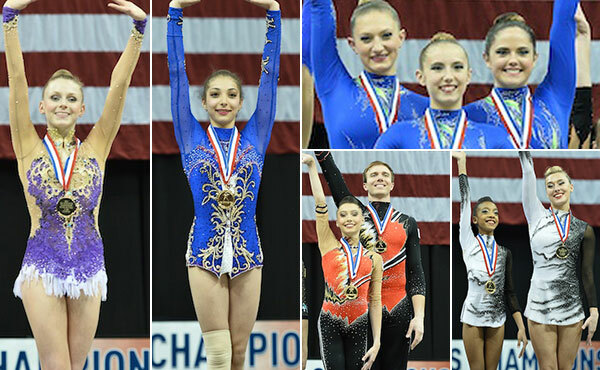 Center in Louisville, Ky., were won by pairs that are 2014 World Age Group Competitions medalists. 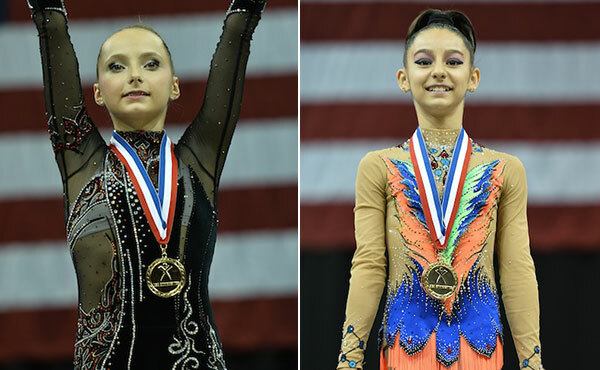 Camilla Feeley and Nicole Kaloyanov won the U.S. clubs and ribbon junior titles, respectively, at the 2014 USA Gymnastics Championships at the KFC Yum! Center in Louisville, Ky. 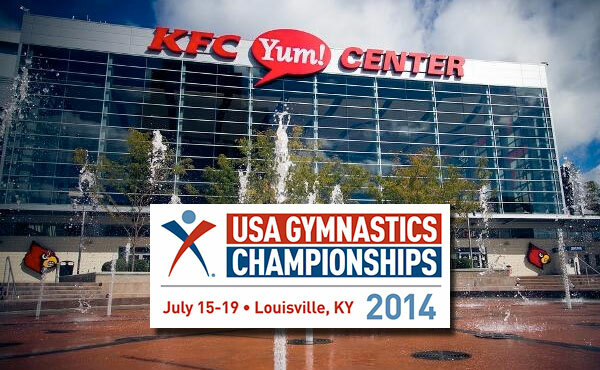 Seven U.S. titles were won on the first day of the 2014 USA Gymnastics Championships at the KFC Yum! Center in Louisville, Ky., where competition continues on Friday in junior and senior trampoline, rhythmic gymnastics and acrobatic gymnastics. 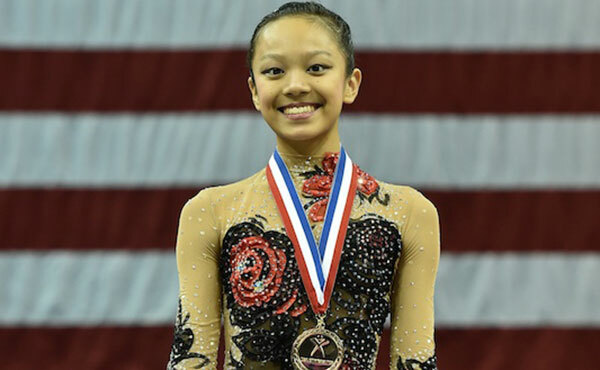 Laura Zeng of Libertyville, Ill./North Shore Rhythmic Gymnastics Center, won both the U.S. ball and hoop junior titles in rhythmic gymnastics at the 2014 USA Gymnastics Championships at the KFC Yum! 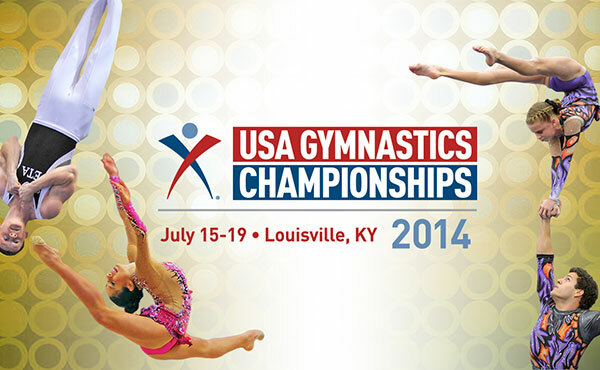 Center in Louisville, Ky.
Elite competition at the 2014 USA Gymnastics Championships is scheduled for July 17-19. 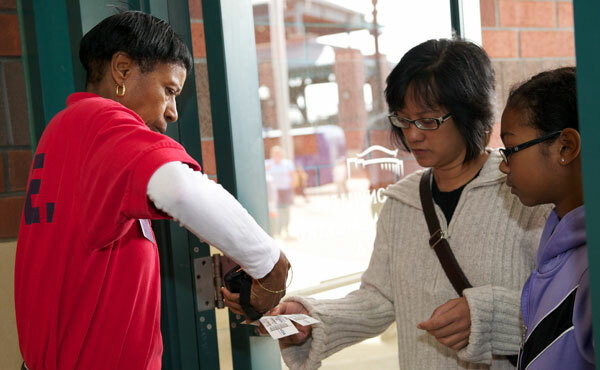 Fans can enjoy coverage online and on their favorite social media networks, as well as find event information at USAGymChamps.com. 2000 Olympic bronze medalist and USA Gymnastics Hall of Fame member Elise Ray will serve as the webcast host for this week’s USA Gymnastics Championships in Louisville, Ky.
More than 1,600 of the nation’s top gymnasts in acrobatic gymnastics, rhythmic gymnastics and trampoline/tumbling are coming to Louisville, Ky., July 15-19 for the 2014 USA Gymnastics Championships. The athlete roster includes seven defending champions, one Olympian, three Youth Olympic Games participants, two World team champions, and one World gold medalist. Tickets for the 2014 USA Gymnastics Championships, the national championships for acrobatic gymnastics, rhythmic gymnastics and trampoline/tumbling, go on sale June 19 at 10 a.m. ET. USA Gymnastics has awarded Louisville, Ky., the 2014 USA Gymnastics Championships, a new event that showcases the national championships for acrobatic gymnastics, rhythmic gymnastics and trampoline/tumbling.